No Deposit Bonus €100 free no deposit welcome bonus. Extra Bonus 1. Monthly bonus: Deposit: €20 to €50 and receive 50% bonus. 2. Monthly bonus: Deposit: €50 to €100 and receive 100% bonus. 3. Monthly bonus: Deposit: €100 to €200 and receive 150% bonus. 4. 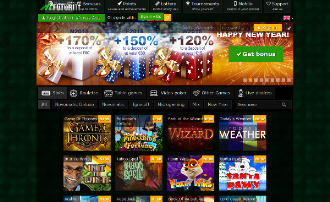 Monthly bonus: Deposit: €200 and more and receive 200% bonus. 1. Max. Wagered amount: €300. 2. Max. Wagered amount: €750. 3. Max. Wagered amount: €1500. 4. Max. Wagered amount: €3000. Maximal amount of the bonus is €2000. Bonus Info. Per each calendar month the player is allowed to get by one 1st deposit for each of the categories on increasing, starting from the first category. Minimal deposit to participate in the promotion is €20. Wagering To withdraw the bonus, it is necessary to execute the wagering requirement of 50 times. Slots novomatic, playson, igrosoft: 100%. 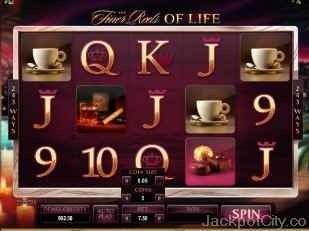 Video Pokers playson: Jacks or better (standard и 5-line) - 30%, other types: 50%. Pokers playson: 3-card - 40%, carribean - 30%, oasis: 10%. Table games playson: Baccara and reddog: 50%. Other games, including microgaming: 0%. For more detailed information about wagering requirements, terms and conditions, cash backs, bonus rules and maximum payouts, - please confirm with Futuriti Casino prior to registering. Currencies that are accepted in accounts at Futuriti Casino are: Euros. Languages avaliable are Russian, English.